This gown was created for a themed wedding...complete with Juliet cap and fine metallic gold veiling. 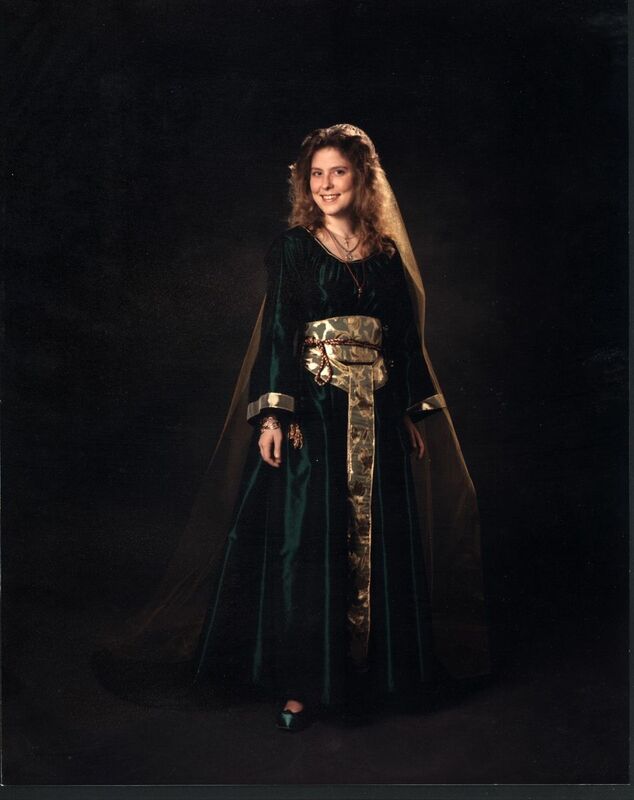 The bell sleeves were finished in a metallic gold ribbon and the gathered neckline with metallic gold cable cord. 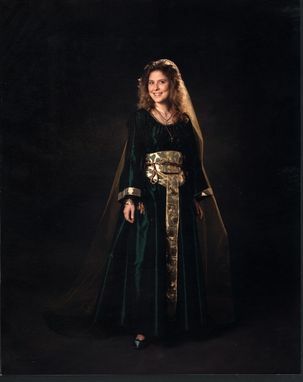 The belt (girdle) made from metallic devore silk with a backing of the green iridescent taffeta, was reminiscent of historical garments from the 12th century. Themed weddings are tons of fun! I love the historical aspect and will be as close to historically correct as you desire! We can also dye shoes to match!